camera (Bill Clark/Getty Images, FILE) Internal Revenue Service building is pictured in Washington, March 27, 2018. More than half of the IRS employees recalled to work this week didn’t show up, according to a congressional aide, calling into question whether the ongoing government shutdown will make for a painfully slow and chaotic tax season, set to kick off on Monday. But when the IRS briefed Congress behind closed doors Thursday, it told staffers that 14,000 of the 26,000 workers recalled to work without pay at IRS processing and call centers across the country didn’t show. About 9,000 of the workers weren’t reachable while 5,000 had claimed financial hardship, the House Democratic staffer told ABC News. Also alarming was a statistic given to staffers on personnel who run computer networks. 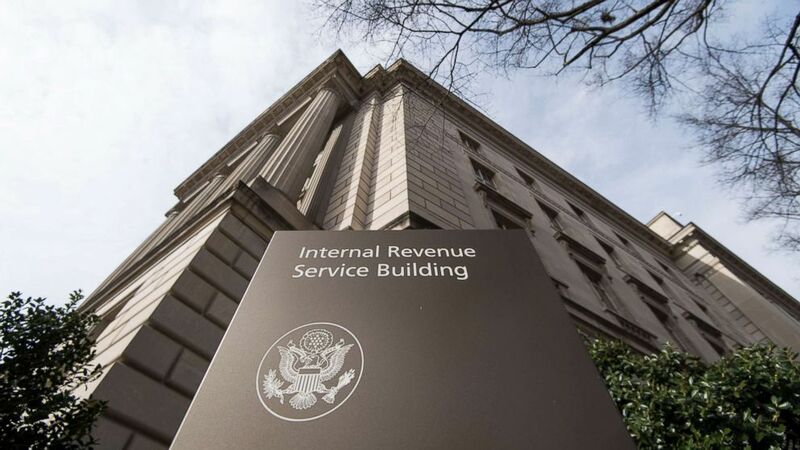 The IRS has lost 25 information technology staffers a week since the shutdown with many of those workers looking for other jobs, the staffer said. They also have had two dozen retirements in the five weeks of the shutdown. Some 800,000 federal workers are affected by this latest spending lapse, now the longest in history, with at least 450,000 required to keep working without a paycheck. In a bid to mitigate the impact of the shutdown on Americans, the Trump administration has reclassified thousands of workers as essential, including the IRS workers and Agriculture Department employees who process farm loans. A major union that represents federal workers, including IRS employees, has warned that many of these employees can't handle the financial burden of working without pay. "After a month with no pay, real hardship does exist for IRS employees including not having the money needed to get back and forth to work or to pay for the child care necessary to return to work right now," said NTEU National President Tony Reardon, in a statement earlier this week. "Emergencies can occur at any time so the hardship exemption can be requested during a lapse in appropriations when an employee is suddenly unable to return to work. That is why the exemption exists." That thousands of IRS workers are refusing to show for work raises the prospect that Americans could see a significant slowdown in the agency's ability to process tax returns this year. It could also ratchet up pressure on President Donald Trump and congressional Democrats as budget talks remain at a standstill. The IRS did not respond to a request for comment on the latest numbers released by Congress. In a statement Wednesday, the agency said: "The IRS is continuing its work in preparation for next week’s filing season," the agency said. "We are continuing our recall operations, and we continue to assess the situation at this time." A disastrous tax season wouldn't be in Trump's best interest politically. In 2017, he signed into law a massive rewrite of the tax code and Republicans were counting on Americans seeing a bump in their refund checks. At least one top Democrat, House Majority Leader Steny Hoyer, D-Md., has questioned whether recalling so many employees during a shutdown is legal when only the most critical employees should be called on, usually for reasons of public safety.